If the BMC’s new proposal sees light of day, you will be able to generate cash from all the trash. According to the proposal, prepared by standing committee chairman Ravindra Waikar, the BMC will not only come to your doorstep to collect garbage but will pay you 25 paise per kilo for it. 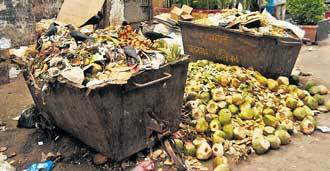 All this to try and stop you from dumping the waste carelessly and thus dirtying the city.